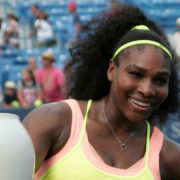 Serena Williams is set to play in Western & Southern Open. Photo by Michael Mitchell By Mark Brown Cincinnati Herald Contributor If you are a tennis .. 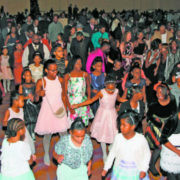 The Cincinnati Herald’s annual Daddy-Daughter Dinner Dance, held Saturday, January 27, at Duke Energy Convention Center was sold out with 1,200 fathers ..
By Conrad Clowers Herald Contributor You can see it on his face. He looks weary and tired. You can tell it in the inflection in his voice at press conferences. ..